NYC-based drummer/composer/teacher Allison Miller engages her deep roots in improvisation as a vehicle to explore all music. Described by critics as a charismatic and rhythmically propulsive drummer with melodic sensibility, Miller has been named “Top 20 Jazz Drummers” in Downbeat Magazine. Her band, Boom Tic Boom, is a 2014 recipient of Chamber Music America’s “Presenter Consortium for Jazz Grant” and is proudly sponsored by Mid-Atlantic Arts Foundation. As a side-musician, Miller has been the rhythmic force behind such artists as Ani DiFranco, Natalie Merchant, Brandi Carlile, Toshi Reagon, Dr. Lonnie Smith, Patricia Barber, Marty Ehrlich, Ben Allison, the Meredith Vieira Show, and Late Night with Seth Meyers. She is the musical director of Speak, And Still You Must Swing, and Celebrate and co-leads Honey Ear Trio and Holler and Bam. Allison teaches at the New School for Jazz and Contemporary Music in NYC and endorses Yamaha drums, Zildjian cymbals, Vic Firth heads, and Evans drumheads. 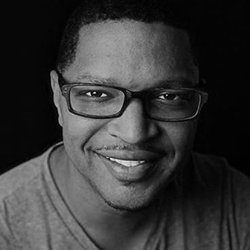 For the past 25 years, Brandon McCune has worked as a Professional Musician (pianist, organist, drummer, trumpeter, bassist, vocalist, and choir director) serving as a principal music instructor, composer, counselor, arranger, and performer with a special concentration in the jazz, classical, and gospel genres. Brandon has served as Minister of Music for several congregations in NJ. He currently serves as Assistant Musical Director for all music ministry programs at Shiloh Baptist Church (Plainfield, NJ). His leadership acumen is demonstrated in his founding of BASIC Inc., a non-profit umbrella for Gospel Music entertainment, music education, and various other arts related entities. 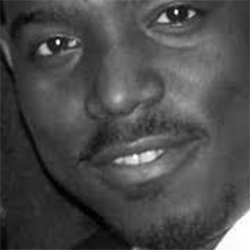 He, along with Pastor Amir Ballard, co-founded the "Just Cause" concert series which brings together the music departments from different congregations for an annual Praise & Worship celebration. He can be heard on many recordings. A partial listing includes: Brandon McCune (“Tell the Story, MAC5 Records), Nneena Freelon ("Blueprint of a Lady", "Live", “Tales of Wonder" & “Home Free", Concord Records), Abbey Lincoln (“Over the Years", Verve Records), Charenee Wade ("Offering: The Music of Gil Scott-Heron", Motema) Kahlil Kwame Bell (“Duality"), Freddie Hendrix ("Jersey Cat" Sunnyside), Bruce Williams ("Private Thoughts, Passin' Thru), Rondi Charelston ("Sings of Life", "Resilience", Motema), Lenora Zenzalai Helm (Voice Paintings, MidLantic Records), Alma Micic (“Introducing Alma" & “The Hours"), Gregory Kilpatrick (“Come On Over"), and Pam Purvis (“I Had A Ball"). Jonathan Melville Pratt is a composer, multi-instrumentalist, director, producer, and visual artist working in many genres including pure music, film, theater, modern dance, ballet, and fine art. Jonathan attended School For Creative and Performing Arts in Cincinnati, Ohio, graduating at the top of his class in 1997. He then went on to attend and earn his bachelors of music in 2001, studying operatic performance with Glenn Siebert and “interdisciplinary composition” with many esteemed faculty at the North Carolina School of the Arts. Jonathan’s compositional work has been performed and presented nationally and internationally in many venues and festivals including The Guggenheim Museum, Lincoln Center, Kennedy Center, American Dance Festival, Solo Dance Festival-Tanzemesse, Yerba Buena Center, The Public’s Shiva Theater, The Abbey Dublin, The Museum of Modern Art, Salvador, Brazil, Carnaval, Salvador, Bahia, Symphony Space, The Kitchen, The Apollo, Baryshnikov Arts Center, and more. Collaborators and Commissioners include: Keigwin and Company, Brian Brooks Moving Company, Camille A. Brown & Dancers, Mimi Garrard Dance Company, Tiffany Mills Company, The Public Theater, The Abbey Theater, The Old Globe Theater, Instituto Sacatar, Alayna Stroud, Hillary Franklin, Helen Simoneau, Brian Mertes, Sean Sullivan, Trish Casey, Marcia Johnson, Kennis Hawkins, Will Rawls, Janusphere, Ingrid Graham, Celia Rowlson Hall, Kate Spade New York, Keller NYC, LaMama, Princeton University, The Juilliard School of Drama, and Juilliard School of Dance. 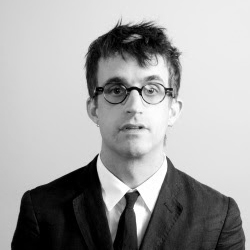 Jonathan founded Robot Church in 2009 and serves as Artistic Director and Resident Composer. 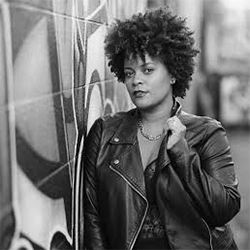 Monique Brooks Roberts is a violinist hailing from Louisville, KY. Now residing in the New Jersey/Philadelphia area, she is intent on making her mark in the soul/jazz fusion circuit with her sultry and sensual violin work. Influenced by a plethora of 90’s RnB artists, her music oozes soul, rhythm. Her playing is often described as emotional and provocative - and there’s little surprise why. With over 26 years of experience under her belt, the violin has become an extension of herself; a visceral medium through which is she is able to express the emotions which words cannot. While she is successfully carving out a niche in her own right, her music echoes influences of Sade, Robert Glasper, Air, and Erykah Badu to name a few. Monique has had a busy and fulfilling career, having performed and recorded for many notable artists including Alicia Keys, Common, Jill Scott, Mos Def, Diana Ross, Arethra Franklin, J. Cole and many more. She was also a touring member of the Philadelphia String Quartet for 7 years. She has also featured on live television on multiple occasions, appearing on VH1 Storytellers, CBS Late Show With David Letterman, BET Bobby Jones Gospel Show and the BET Honors. Monique has played at Carnegie Hall, the John F. Kennedy Center, Theater at Madison Square Garden, The Newport Jazz Festival, The Willingboro Jazz Festival, The Kimmel Center and plenty more. 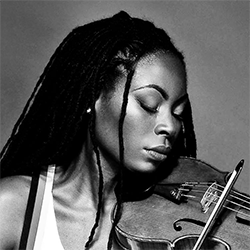 Monique works closely with cherished husband, and producer/musical director Aaron Brooks Roberts, who provides the foundations of the tracks which Monique lays her violin talents over. So far, she has released an album in 2007 with her former neo-soul/jazz band TruVibe, entitled ‘Tru Beginnings’. Today, she is on the grind again, working on a solo album that is set to launch in Spring 2018. 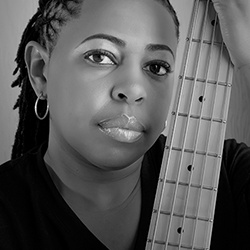 Robin Bramlett is a recording artist and bassist who is primarily self-taught. Her debut CD and 2013 release, This Is My Life, is an instrumental autobiography that combines her musical experiences throughout her career while staying true to her first loves, jazz and neo-soul. Other than two covers (Teena Marie’s Square Biz and Slave’s Steal Your Heart) Robin wrote and produced the entire project. She is also touring with the all female jazz ensemble, Jazz In Pink, which is led by keyboardist Gail Jhonson. In addition, she has also performed and/or recorded with Karen Briggs, Althea Rene, Eric Darius, Jeanette Harris, Jessy J, Brian Culbertson, Dave Koz, Chrisette Michelle, Shanice Wilson, Miki Howard, Pete Escovedo, After 7, Jon B., Malcolm Jamal Warner, just to name a few. Scott Patterson is a pianist and composer of incomparable talent. Pittsburgh Tribune-Reviewdescribes Patterson’s playing as, “a masterly blend of virtuosity, singing style and beautiful voicing.”His blend of classical, soul and rock music is futuristic, emotive and luxuriant. Since 2012 Patterson has toured with Camille A. Brown & Dancers. He is a contributing composer of the Bessie award winning Mr. TOL E. RAncE and Brown’s critically acclaimed work, BLACK GIRL: Linguistic Play. Patterson’s work extends beyond dance. 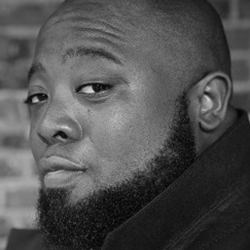 He is the co-founder and Artistic Director of Afro House (afrohouse.org), a music-driven performance art house based in Baltimore, MD. At the center of Afro House stands the Astronaut Symphony, a contemporary music ensemble that creates symphonic performance art pieces, such as Patterson’s sci-fi tone poem Ebon Kojo: The Last Tribe. 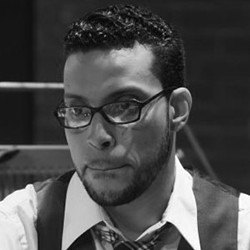 As a music director he worked closely with award-winning playwright Marcus Gardley during the Williamstown Theatre Festival and served as music director for a production of Dan Dietz’s Clementine in the Lower 9. He has also worked with Tony Award winning music director and composer Daryl Waters at the Dallas Theater Center. His acting credits include the role of Duke Ellington in Tom Minter’s Blues for a Royal Flush, as Chorus in Dan Dietz’s Clementine in the Lower 9 and General Ebon Kojo in Ebon Kojo: The Last Tribe. As a Piano Performance major Patterson studied under Richard Fields at the University of Cincinnati’s College-Conservatory of Music and Phillip Kawin at the Manhattan School of Music. Tracy Wormsworth is a world renowned bass guitarist in the music and television industry. 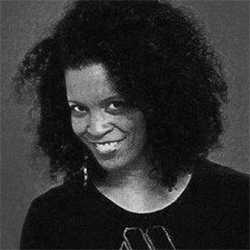 Her career began as a member of the New Wave band The Waitresses, and subsequently toured and with Phyllis Hyman, Sting, Roberta Flack, Cyndi Lauper, Joan Osborne, The B-52s, jazz violinist Regina Carter, vocalist extraordinaire Rachelle Farrell, jazz great Wayne Shorter, and many other artists. She has played on recordings by Joan Osborne, The B-52s, The Waitresses, Regina Carter, Lena Horne, Paula Abdul and others. Tracy has jingle recording credit; appeared in film and has extensive live (and taped) television and recording experience. Tracy was a member of the house band on The Rosie O’Donnell Show, which aired for 6 years. As part of the “Rosie” show she played with everyone from Mary J. Blige to Liza Minnelli, as well as accompanying all of the major Broadway show performances that were featured yearly on the show during Tony season. She also subbed on “The Conan O’Brien Show” in the bass chair and has appeared on “The Arsenio Hall Show”, “The Tonight Show with Jay Leno”, “Late Night With David Letterman”, “The Craig Kilborn Show” and “The Today Show”. Wormworth is currently playing with The B-52s and has done several world tours with the band. She recorded with the band on “The Flintstones” soundtrack and on their album “Good Stuff”. In 2008, she was listed as a full band member on their album “Funplex”, and is featured in their Live DVD “With The Wild Crowd”, released in 2012. Wilson R. Torres is a New York native born and raised in Washington Heights. Wilson’s musical journey took roots at the age of 2, holding it down on the pots and pans. At the age of 3 he received his 1st drum, putting his musical journey in motion. His formal training began at the age of 12 when he received a scholarship from The New York Pops Orchestra to study with percussionist Susan Evans. Wilson is a graduate of The Juilliard School M.A.P, The Juilliard School Pre College program and F.H LaGuardia High School of Music and Art (Fame). He received his B.M, M.M in Orchestral Performance from The Manhattan School of Music under the tutelage of Duncan Patton and Christopher S. Lamb. Broadway Credits include Tony and Grammy Award winning musical “In the Heights”, “Les Misérables” (25th anniversary revival), “Lysistrata Jones”, “The Wiz” (Encores),“On Your Toes” (Encores) and “Cabin in the Sky” (Encores). Tours include “Lion King” (1st National), “Lion King” (Cheetah) and “Wicked” (1st National). Orchestral credits include San Francisco Symphony, New Jersey Symphony, Staten Island Symphony and Albany Symphony. Wilson is a proud endorser of Latin Percussion and Sabian Cymbals. Composers and instrumentalists form an important part of the Camille A. Brown & Dancers family. Through original works inspired by a range of influences—including jazz, hip hop, African rhythms, and Radiohead—musical collaborators provide more than a soundtrack for the choreography. They inform, exemplify, and heighten Camille A. Brown’s stories of race, culture, and identity.